I know I always say it, but I LOVE our ETSY CUSTOMERS! They are some of the nicest, most creative, wonderful people to work with. 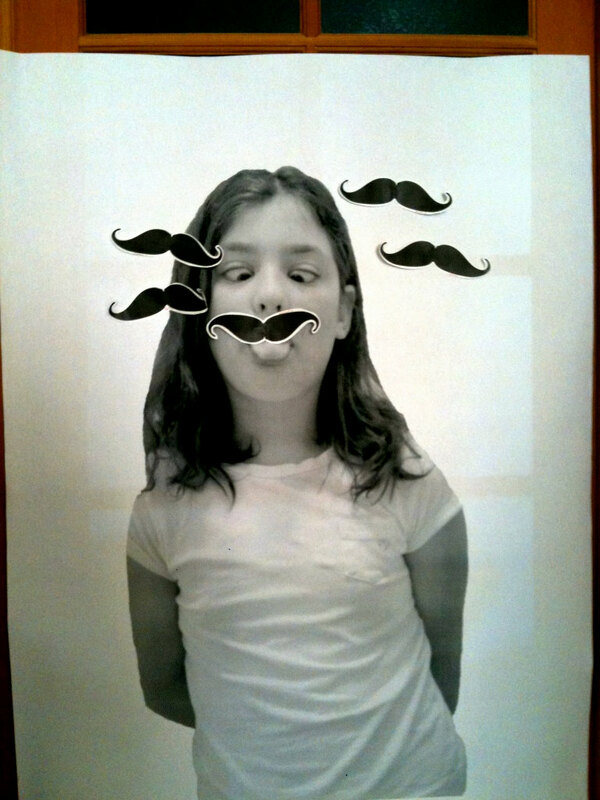 I can't express enough, how much fun we've had with our Etsy shop and the people on there. This one mama was NO exception. She ordered some of our edible mustaches a while back to use for her daughter's upcoming birthday party. We chatted back and forth a little and I just knew this party was going to be a winner! Here's the really sweet news...She was awesome enough to email me some pictures from the shindig. How cool is that?!? I LOVE LOVE LOVE LOVE LOVE seeing our little cuties doing what they do best! 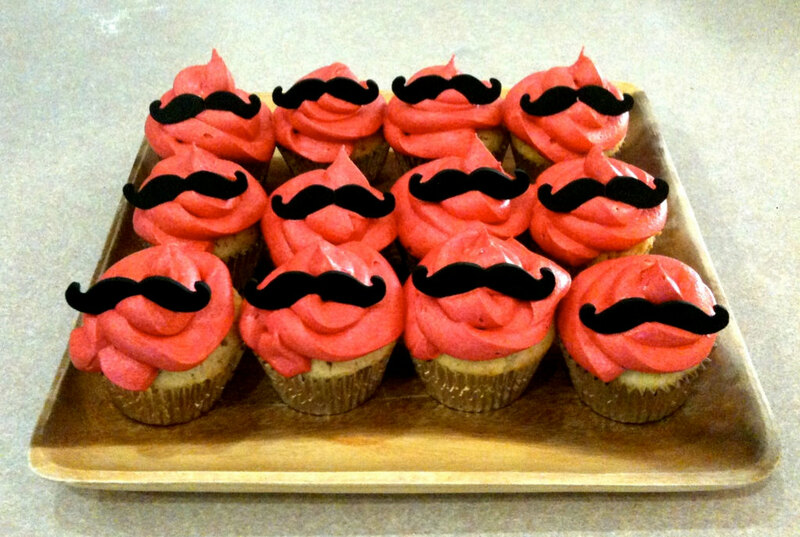 And boy are they SO cute sitting atop some yummy looking cupcakes! 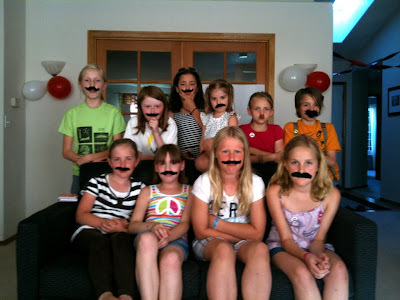 You gotta love a mustache-themed birthday party....seriously. You gotta. To the sweet mom- Thanks so much for sharing pictures of your special day and being such a delight to work with!